Howell County is named for James Howell, who was a pioneer and settler, or for Thomas J Howell, who was another settler. Description: The building faces west and is a three story gray colored Carthage stone and concrete structure. 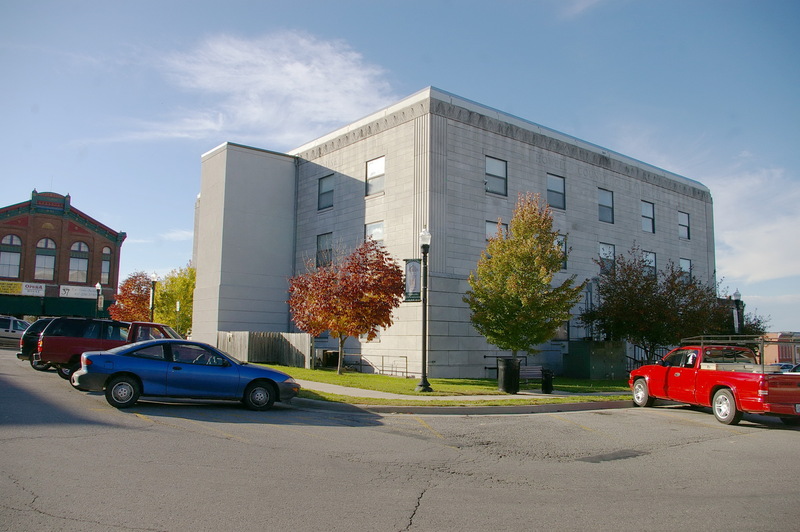 The building is 82 feet square. The west front has a central entrance on the first story. The second and third story windows are a single vertical section. The roof line is flat. This was a Work Projects Administration project. 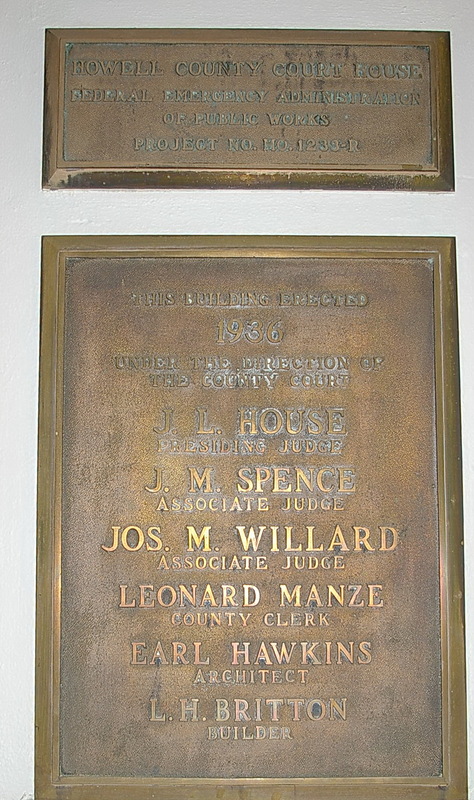 See: The architect, Earl Hawkins designed courthouses in Laclede County, Ozark County and Webster County. Note: The first courthouse was built in 1859. 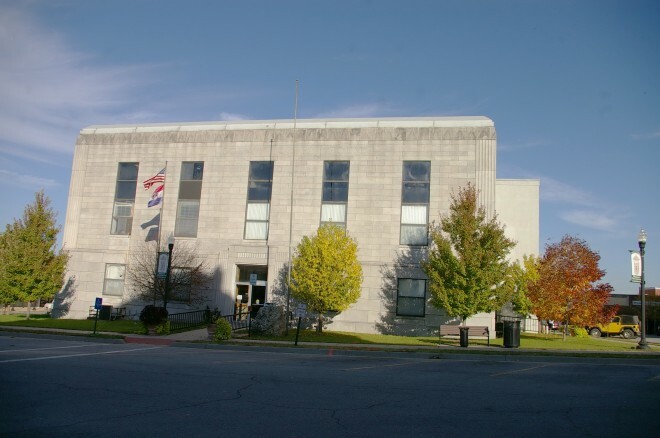 The second courthouse was built by T E Britton in 1869 at a cost of approximately $1,200. The third courthouse was designed by Henry H. Hohenschild and was constructed by G W Goodlander of Fort Scott, Kansas in 1883 to 1884 at a cost of $16,600. The building was razed in 1933. 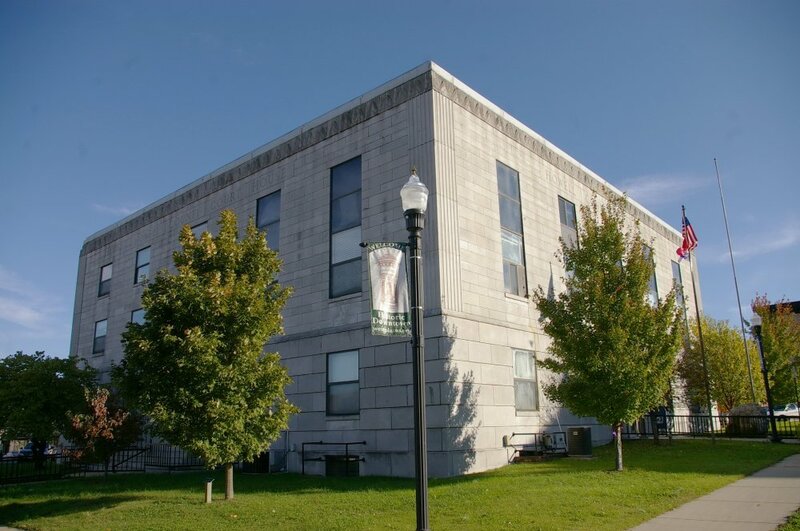 The cost of construction of the present courthouse was $107,000.